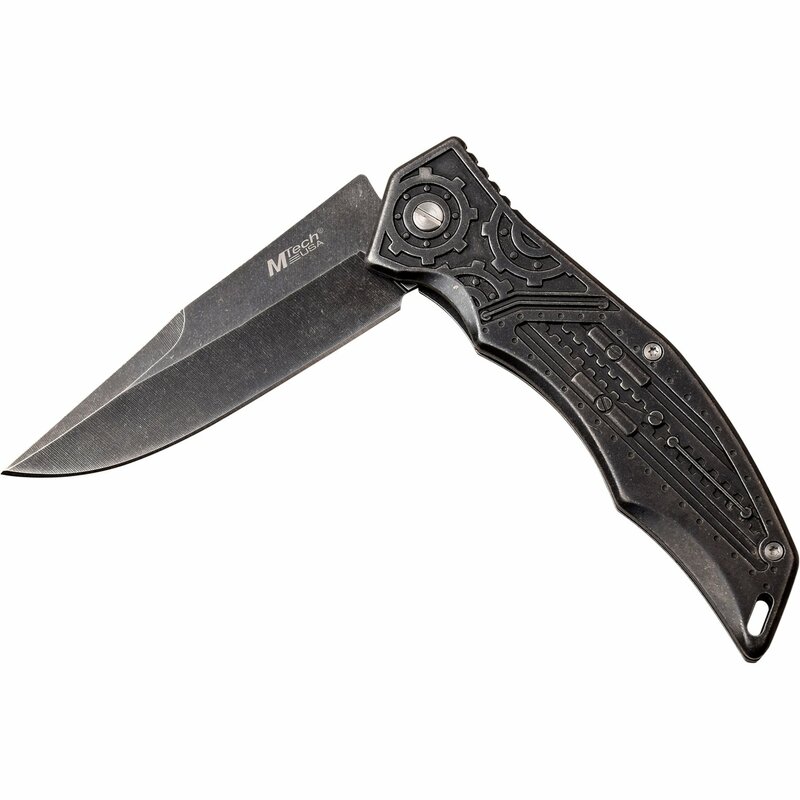 Mtech spring assisted opening pocket knife in cool knife design in stonewashed knife color. 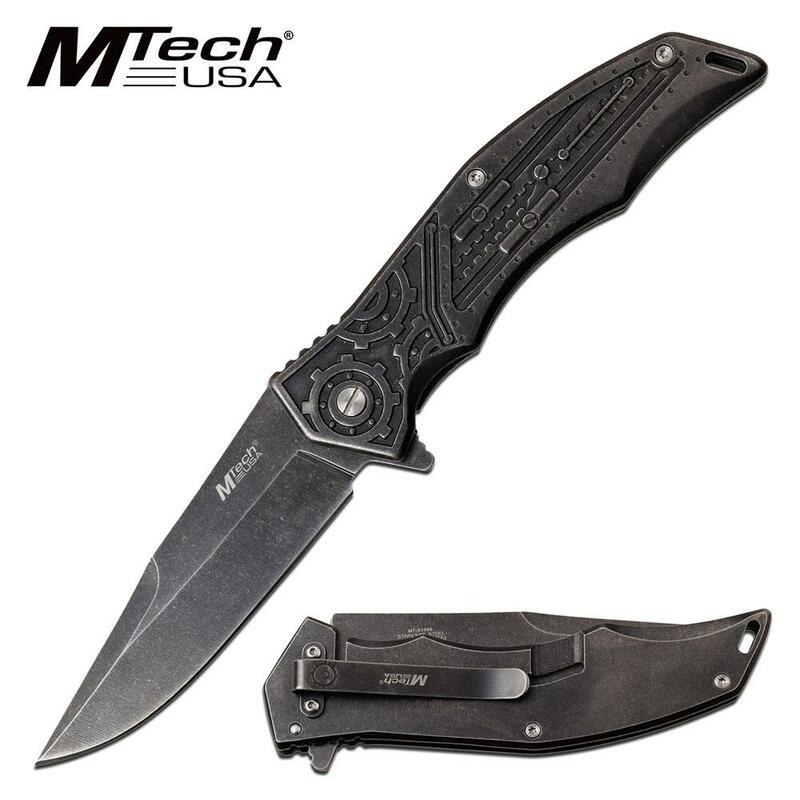 Mtech knives are best pocket knives. 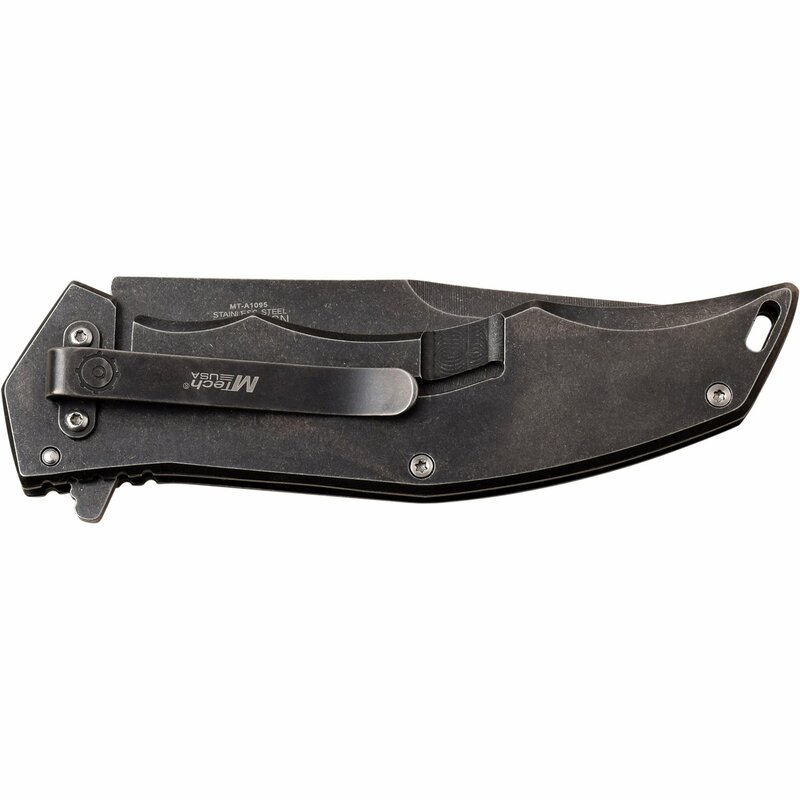 Spring assisted opening knife for sale with a cool knife design on handle. 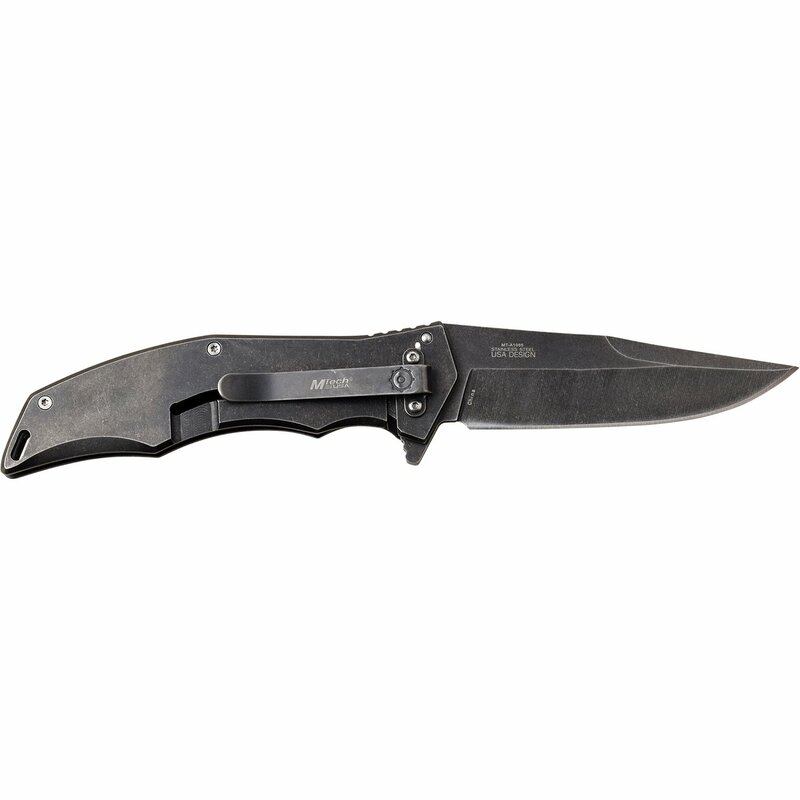 The open length of this knife is 8.75 inches long. 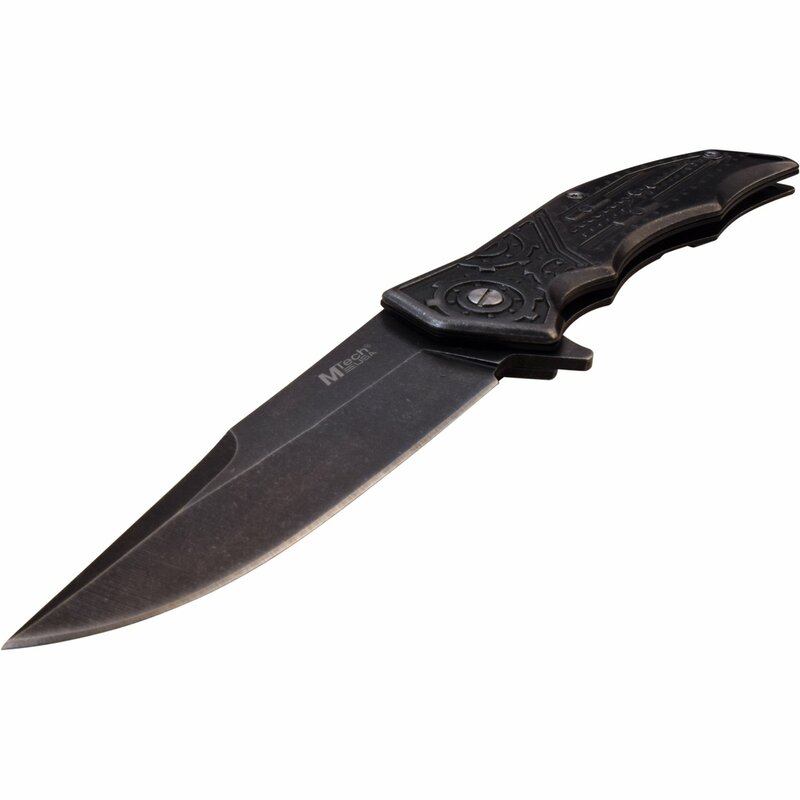 The stainless steel stonewashed blade is 3.75 inch legal length. 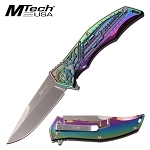 Mechanical gears design handle is 5 inch long.